The Chautauqua Harbor Hotel, in partnership with the National Comedy Center in Jamestown, NY, will tickle your fancy and your funny bone with the Hilarious Getaway Package. 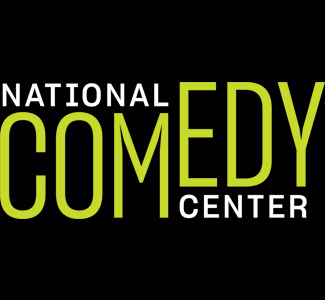 Upon check in, guests will receive the Hilarious Getaway Package welcome gift bag, which contains two tickets to the National Comedy Center and the Lucy/Desi Museums and a $30 meal voucher. This voucher can be used for breakfast at The Lakehouse Tap & Grille. Each guest also receives a pair of Groucho Marx glasses. Coming to this years Lucille Ball Comedy festival is Sebastian Maniscalco with his Stay Hungry tour. Included in your package will be two tickets for the Sebastian Maniscalco Saturday, August 10th 5pm show. Fat bike experience- available for 3 hours or all day, with or without a guide. Guests will be picked up from our hotel. Welcome basket including cozy items to keep you warm on the trail. $50 credit to the LakeHouse Tap & Grille. Winter is here to enjoy- and where better than at the Chautauqua Harbor Hotel! Want snow- we've got it! We've got it!! We've got it!!! Choose between cross country skiing or snowshoeing, or try both. Package includes deluxe overnight accommodations, two days of either snowshoe or cross-country ski rental and maps to local trails. We will keep you warm on and off the trail with welcome items that keep your comfort in mind. Enjoy a meal in our LakeHouse Tap & Grille. Come and stay and leave the pampering to us. Come and experience Lake Erie Wine Country! Located in the largest grape-growing region east of the Rockies, the area extends roughly 50 miles along the southern shore of Lake Erie through New York and Pennsylvania. It is home to over 20 commercial and estate wineries. Wineries are open year round and, most of them, seven days a week. Come for a weekend getaway for two or come with a group- enjoy the wine trail and leave the driving to us! Tour begins at the Grape Discovery Center where you will be introduced to the rich heritage of one of America's oldest grape growing regions. Package includes transportation for 6 hours round trip (driver stays with you), picnic lunch and tokens for tastings at the wineries that you visit. You'll Have A Grape Time! Hit the links in the beautiful rolling hills of western New York and northern Pennsylvania. Enjoy a round of golf at one of our three finest local courses- Cable Hollow Golf Course, Maplehurst Country Club or Jackson Valley Golf Club. Package includes overnight accommodations, 18 holes of golf with a cart and a $50 voucher to the Lakehouse Tap & Grille. Upon arrival, golfers will be treated to a basketful of game-improving extras! Western New York's largest inland lake, Chautauqua Lake is exceptional for walleye, bass, muskellunge and pan fish. Start your day with a hearty breakfast in the LakeHouse Tap & Grille and then get picked up in your private 18' charter boat. Mike Sperry is a NYSCED Licensed Guide who has been fishing the waters of Chautauqua Lake for over 30 years. "If you're ready for the musky, walleye, bass or perch fishing trip of a lifetime on gorgeous Chautauqua Lake, let me show you the way!" Guided fishing trips include everything you need for a half-day of fishing on the lake- rods, lures, bait, sunscreen, and even a picnic lunch. Summer '19 dates are booking fast! Charter for up to three people. Call for rates.